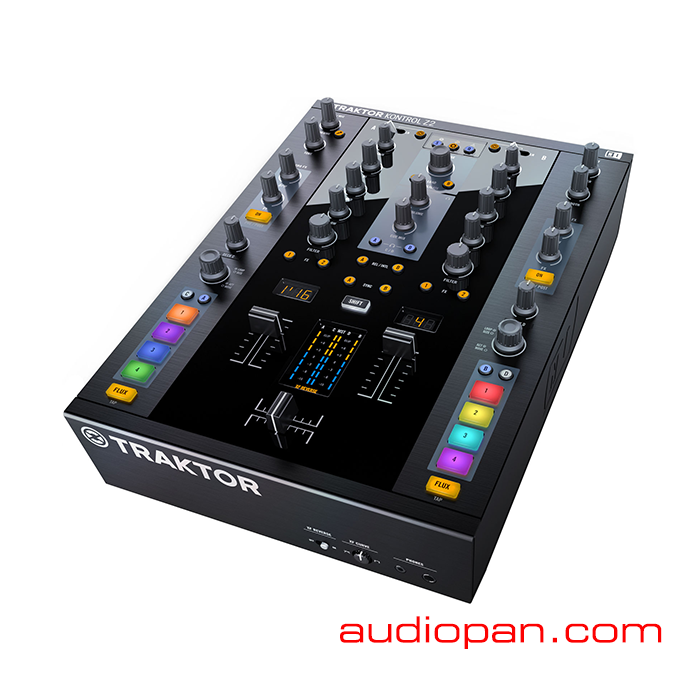 TRAKTOR KONTROL Z2 puts our most advanced DJ controller in the body of a professional 2+2 channel mixer – TRAKTOR SCRATCH included. Think you know your limits? You’re about to erase them. For the first time, TRAKTOR KONTROL Z2 adds Macro FX to the TRAKTOR software. Build a big drop or destroy your track beyond recognition with fresh new effect combos like Wormhole, LaserSlicer and Bass-o-matic – get expressive sound manipulation with intuitive, one-knob action. Flux Mode tracks the time while you’re juggling cue points or looping, and lets you drop back in at exactly the right moment – a powerful weapon for all creative DJs. Integrate multiple TRAKTOR KONTROL F1 and X1 controllers with plug-and-play simplicity thanks to the Z2’s USB hub, freeing up additional ports on your laptop. Start using the included flagship TRAKTOR SCRATCH PRO 2 with Remix Deck™ technology and TRAKTOR SCRATCH timecode vinyl in record time* – simply connect the Z2 to your computer with a single USB cable. Connect your turntables or CD decks with the inputs on the mixer and start using timecode control via vinyl or CDs. And thanks to TRAKTOR’s advanced HID integration, the Z2 integrates effortlessly with the latest Pioneer CDJ generation and mixers.